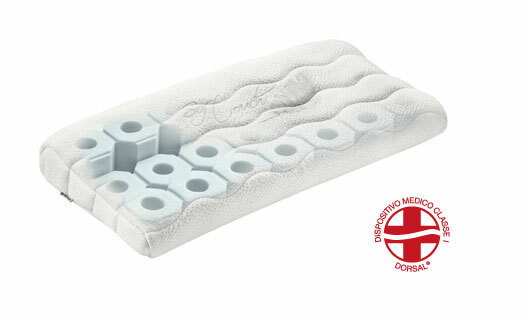 The Zefiro pillow is based on sunflower seed oil and water and employs Tubes® Technology. Due to a complex system of ventilation channels Zefiro does not accumulate humidity, which is dispersed from the pillow giving a wonderfully fresh sensation. Zefiro is a really revolutionary pillow. It is designed to use absolutely innovative materials and technologies. The results are exceptional: highly breathable and perfectly hygienic. 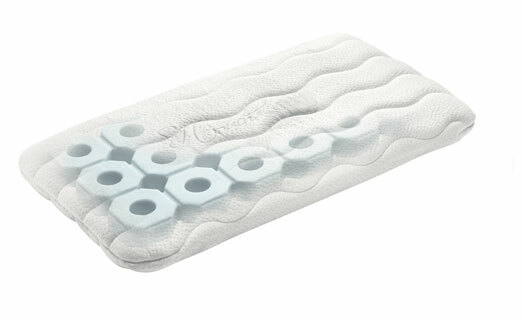 The Zefiro pillow based on sunflower oil and water employs Tubes® technology. Due to a complex system of air channels humidity does not collect but is wicked away from the pillow. -Washable: the external Soft Care cover can be washed by hand or in the washing machine at 40°. The inner Tubes® part is not washable. 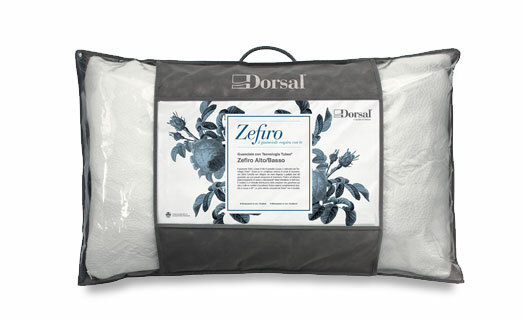 The Zefiro Cervicale pillow, which employs Tubes® technology, wicks away humidity while the special Air Flow process allows optimum pressure distribution to ensure excellent comfort for the face and neck. Personalized carrying case for Zefiro pillow.